Psst, and here is a tip to itch-free wool sweaters that my mom swears by: Simply add ½ a cup of white vinegar to the rinse cycle or if you’re hand washing the sweater, add the vinegar while you're soaking it in the water. Hope that helps! P.S: Also, sweater tights and a sassy knit dress. Plus, the 3 fisherman's sweaters that I adore. P.P.S: Maybe you fancy the look of statement knits as well? Thank you for this post. I was just thinking about what do I need to get for cold weather and here it is. It looks cosy and warm. Diana, I couldn´t agree more. I had one years ago - similar to the one in photo nr.4 - and I loooved it. Sadly a friend put it in the dryer accidently and it was ruined. I never found the `right´one ever since though. Will give it another shot this season. Thanks for the reminder! What!!!! I never knew that. I have avoided wool sweaters for years cuz i cant take the itching! 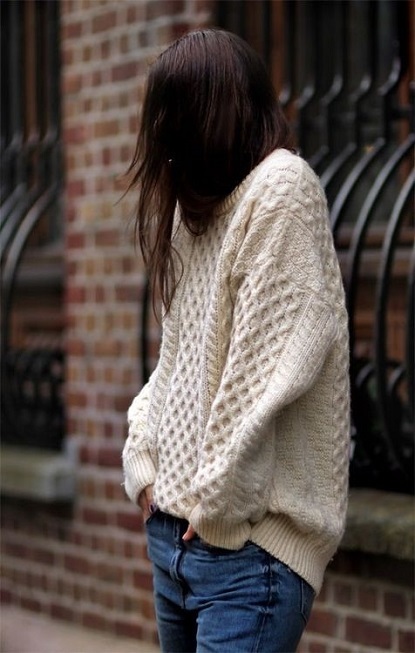 Who doesn't adore a cosy cream jumper! i am so excited for sweater weather. this post made me even more excited to pull out one of my chunky, ivory sweaters! Yes, yes, yes!!! And thank you for your Mom's tip on how to make one less scratchy. I have one that I rarely wear because it is so itchy, but haven't been able to give it away for sentimental reasons. I saw this sweater over the weekend and it is ridiculously soft! 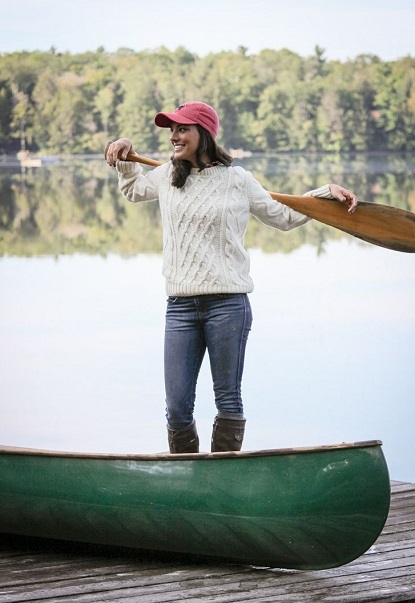 the fishermans sweater is a gorgeous fall piece. in the classic white that clearly works all three seasons. Chrissy, that sounds like the perfect plan! Jana:) And Lyddie, so true! Big chunky sweaters are my fave!! I want to knit one... one day! 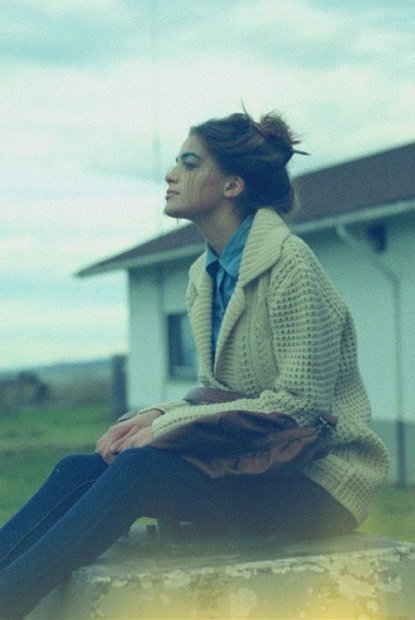 Love this look but sometimes I think a bulky sweater makes me look bigger. I agree entirely! Think Cape Cod and the scene from Annie Hall when they cook lobster. I am definitely planning on wearing one. I have a white sweater right now that my aunt hand knit and it's just gorgeous. I can't wait for the weather to turn cooler so I can pull it out!! Spot on, clémence!Oh yes! Also, how lovely that your aunt hand knit you a sweater. Special!